Everything but the Bluetooth circuit board is reclaimed in these little stereos. Rare Bird marries objects together for the ascetics and sound quality. 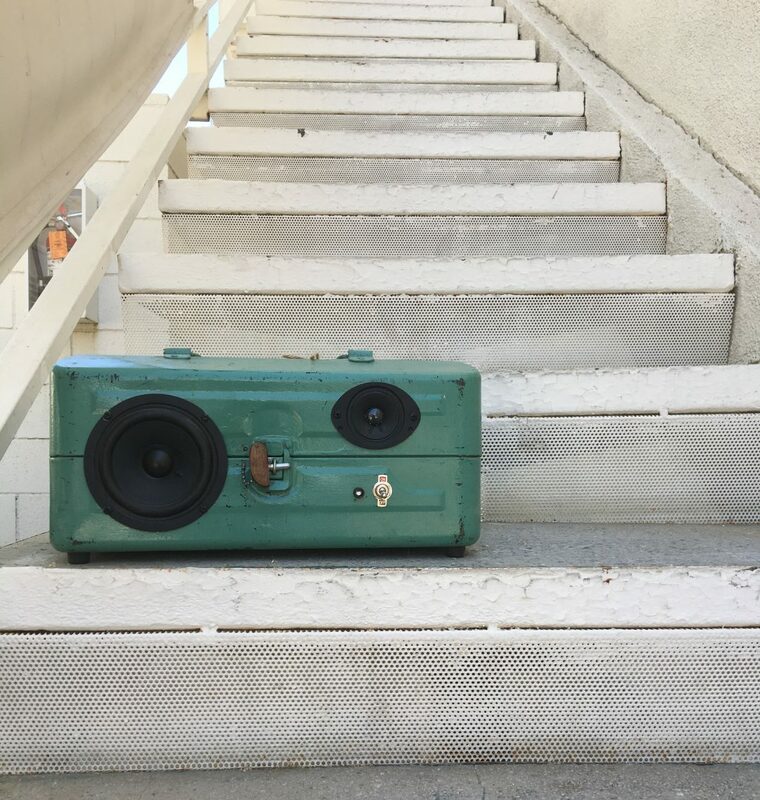 Speakers are sometimes salvaged from vintage cabinets to reclaim an original sound. The fabric that covers the speakers are either found at thrift shops or salvaged from bookshelf speakers. The screws are pulled from various things and the switches are sometimes salvaged from old electronics when possible. We use the best lithium rechargeable battery around with our own overcharge protection so you’ll be rockin this stereo for much time to come. They are all Bluetooth, to keep in simple. Simply flip or turn the switch, wait for the chime, then connect your phone to BTSPEAKER in the Bluetooth settings of your phone. Your phone is now your remote. I stand behind my product and offer a one-year warranty on the electrical components from time of purchase. I’m so excited to finally have a record player. I’ve avoided it for years because I don’t need one more thing to collect, but the fact that I was still collecting vinyl without a record player is telling. I’m enjoying the sound and was pleased when I found that many of my speakers mimic that since I use a lot of vintage speakers. Happy hump day folks!